That aside, I also had to ask myself: What kind of horror games do I like? What horror games are good for those of you, like me, who may be a bit faint of heart, but would still appreciate great story-telling (with or without an occasional jump-scare)? 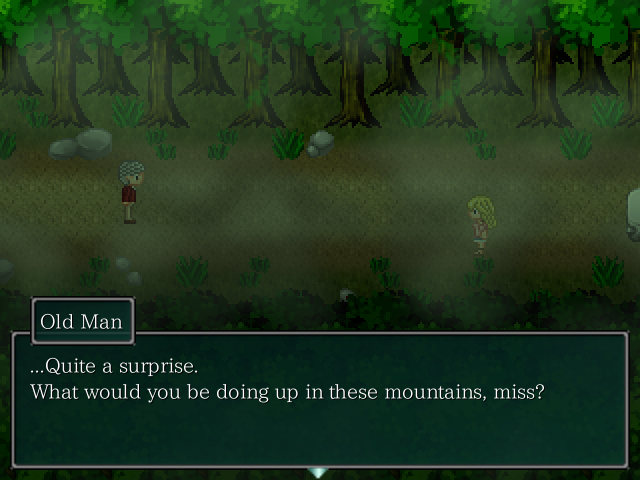 The answer to that is actually pretty simple: Pixel Horror RPGs. Below is a list of some of my favorite picks for Pixel Horror RPGs. They've all been created using either RPG Maker or Wolf RPG Editor. As a result they all pretty much play the same and have a similar art style. I can almost guarantee that if you like one of these games you'll like the rest of them too. And the best part about all of these games? THEY'RE FREE TO PLAY. Mad Father is a horror-puzzle game that follows the experiences of a young German girl by the name of Aya Drevis. Aya lives in a secluded mansion with her father, Alfred (also known as Doctor) and his assistant, Maria. Her mother, Monika, passed away a year ago from an unknown illness. One night, on the eve of the anniversary of her mother's death, Aya is awakened by her father's scream, only to find her home riddled with walking corpses and other supernatural things. Determined to save her father, she must now face the true nature of his work. Author's notes: This is probably one of the graphically freakier ones. Lots of weird science experiments gone wrong walking around. 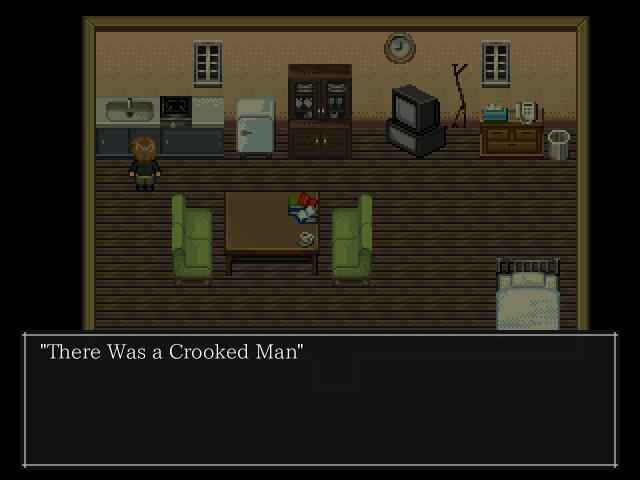 The Crooked Man is a freeware horror adventure game that follows the story of David Hoover, a young man who just moved into a new apartment during a rough patch in his life. After some odd occurrences, he decides to ask about the room's former owner, but learns little. From there, he sets off in search of him, strangely compelled to know more about the former tenant. Author's notes: This is probably my favorite story on this list. It starts out easy, but then you get scared and buy a ticket to Nopetown but then end up in Feelsville. In Mermaid Swamp, we follow the story of Rin Yamazaki and her circle of friends, after their car breaks down on a mountain road. Out searching for help, they meet an old man that offers to house them until they can get their car repaired. What they don't realize is that the swamp outside of their temporary residence is no ordinary swamp, and trouble seems to be following Rin everywhere she goes. Author's notes: The protagonist is somewhat annoying, but if you can get around it, the story is well worth it. I'm a sucker for myths, and this game has a wonderful legend built right in. Also, slight spoiler/tip: DON'T LIGHT THE FIRE. It's been three months since your classmate Misao has been seen, and it's rumored that she's come back from the grave to seek revenge on those in your school. 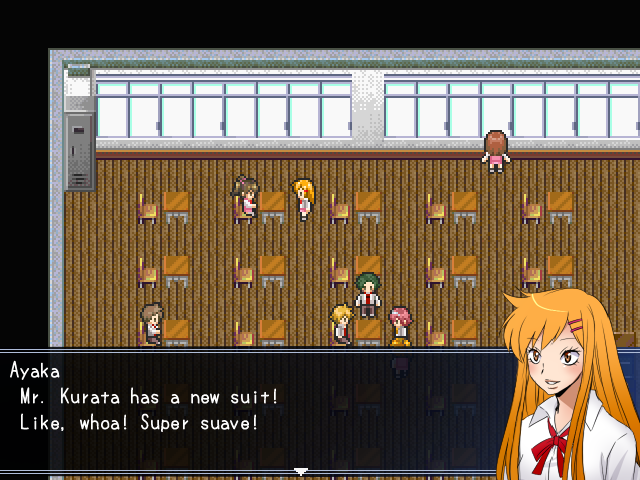 In this game, you play as a young student who, after an earthquake strikes the school, has to collect puzzle pieces quickly before your fellow students and staff at school meet their ends. Author's notes: This game is all kinds of messed up, but the story is super intense. Slight spoiler: those puzzle pieces you have to put together are actually body parts. Yay...?! It's also worth noting that there are quite a few ways you can die in this game and some of them are hilarious. You play as a boy, named Kazuki, that is going through strain in a relationship with his girlfriend, Akari. 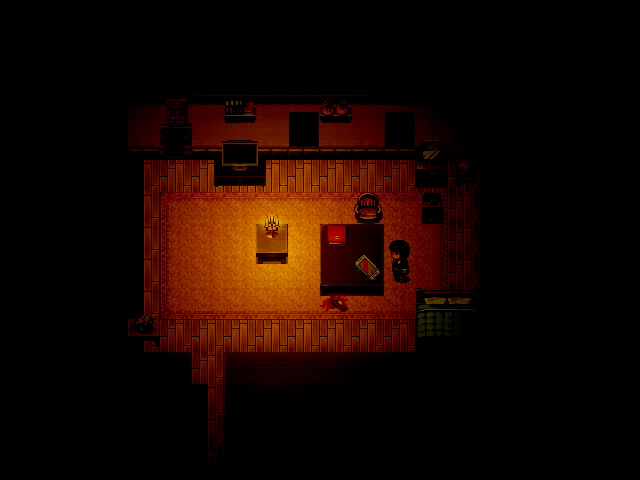 The game takes place in a strange room where you have to accomplish certain things in order to complete all the endings. There are over 30 endings, meaning you'll have to play it over and over again to see them all. That's all for now - take a look at these games, and let us know what you think! Are there any horror games you recommend? in the TPP chatbox. Being a Pokémon trainer for over 15 years, she would LOVE to talk to you if you have any comments or questions about this article.